Join us for the 2018 NASA Space Apps Challenge, a global hackathon in which teams work together to address challenges in Earth science and space exploration. Scientists, artists, programmers, students, makers, and anyone with a creative mindset is welcome to participate! Space Apps is an international hackathon that occurs over 48 hours in cities around the world. 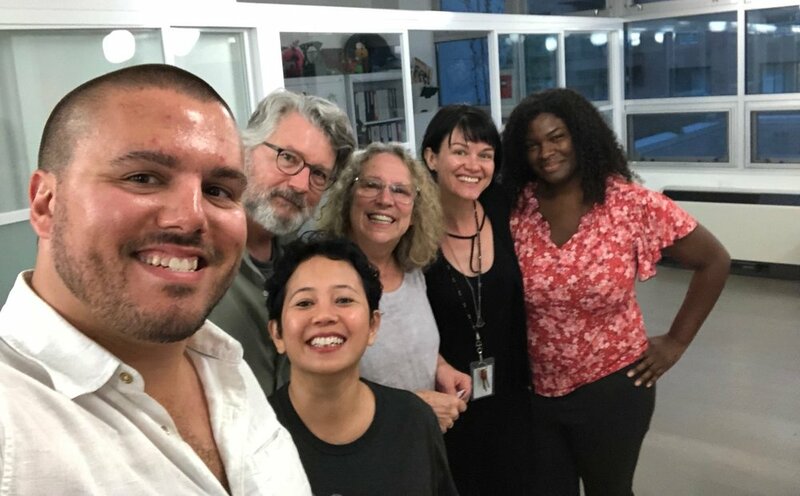 Coders, scientists, designers, storytellers, makers, builders, technologists, and everyone enthusiastic about curiosity come together to address challenges we face on Earth and in space! Space Apps NYC is a grassroots space hacker community grown from the NASA Space Apps Challenge, founded to improve life on Earth and further the exploration of space. At over 2000 members, we're the largest regional community of this type in the world, established in 2012 – and we’re creating a next generation space science & technology hub in New York City. 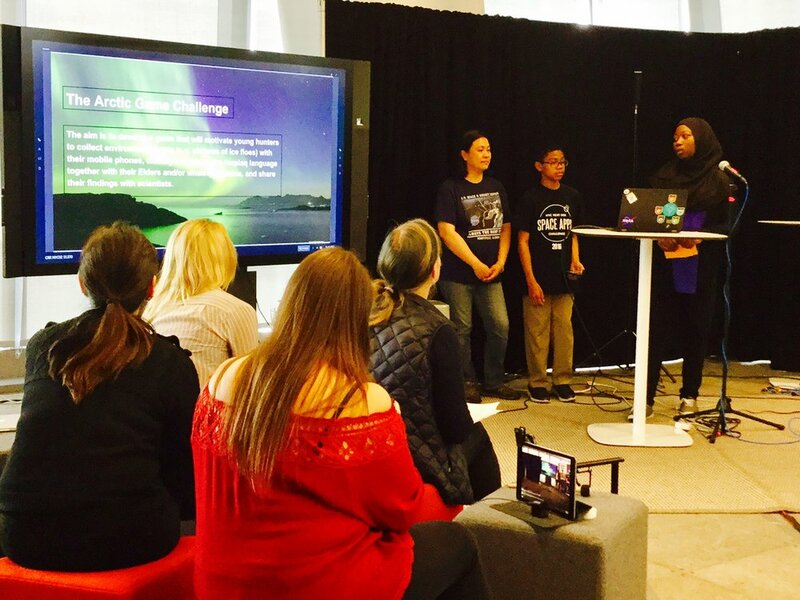 Womensphere is honored to be an Organizing Partner of NASA Space Apps NYC. We are thrilled to co-produce this special event bringing together New York’s established and emerging innovators, problem-solvers, and creators, as part of our 10th anniversary celebration, and as part of the Womensphere Global Festival. Now, we invite you to be a part of this exciting, collaborative scientific exploration, as we pair NASA’s data with problem solvers across the globe. Join us on October 19-21 for the 2018 International Space Apps Challenge, with challenges to better understand Earth and Space! 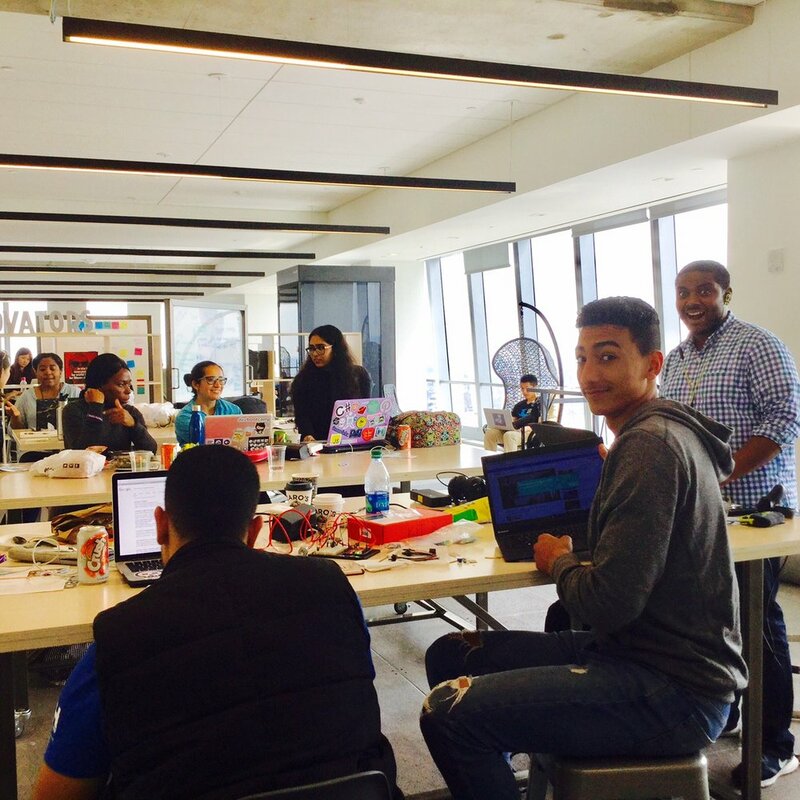 Last year’s hackathon was our largest yet, with 187 events and more than 25,000 people participating across six continents. We’re excited to continue the tradition of inviting students and professionals, beginners and veterans from all corners of the globe to join in. We are inviting interested individuals, as well as teams representing companies and academic institutions (from K-12 to university) to join. We value having gender equality at our event, and urge all teams representing companies and academic institutions to ensure that your teams are gender-equal. The 2018 NASA International Space Apps Challenge will take place in cities around the globe October 19-21. Last year, over 25,000 people developed and submitted more than 2,000 projects on hackathon weekend in response to challenge statements created by NASA. Recently, we shared the theme for Space Apps 2018, Earth and Space. Today, we are thrilled to announce the six challenge categories for this year’s Space Apps and to tell you a little more about what each entails. Stay tuned to these evolving mission categories to find challenges that inspire you. As Space Apps 2018 gets closer, we encourage you to use social media and #SpaceApps to connect your ideas with your fellow problem solvers. Science, technology, creativity: diverse teams create the strongest solutions! People build things to support life on Earth, and to explore Space! We build buildings, airplanes, cars and rockets, computers, satellites, habitats, and a dizzying host of other things. If someone can think of it, or if someone needs it, then someone can probably build it - whether today or in the future. Challenges in this category will ask you to use NASA’s data to creatively solve problems and show how you would create a variety of things, from buildings, to robotic helpers, to tools for citizen science – the possibilities are endless! Understanding the field of science is central to living on Earth. For example: How does water move? How does our atmosphere work? Why are ice and snow important? And honestly, what is dirt? The Earth is composed of complicated systems - land, water, air, living things, and the planet itself - and understanding something about these systems is useful. Challenges in this category will ask you to craft something using NASA data – a story, a game, a video, or some other solution – that helps people discover how the Earth works. Our planet and solar system are full of surprises – good ones, and tough ones. The good ones are the ones we see as helping us, such as when a long-awaited rainstorm refills a lake or reservoir. We call the tough ones “disasters” – such as when that same rainstorm causes a damaging flood. What such events all have in common is that 1) they affect us; and 2) we would like to know ahead of time when they are coming, if we possibly can, so that we can prepare. Challenges in this category will ask you to analyze NASA data to help anticipate, monitor, and recover from (or make best use of!) surprise events. Earth-dwellers need many things: food, water, clean air, shelter, and other things too – the list is long and diverse. What are those things? What does it take to sustain and improve life on Earth for all of its inhabitants? And what will it take, eventually, to do that on other planets? Challenges in this category will ask you to tackle problems affecting some important aspect of life in this world (or on others! ), and to interpret NASA data and concepts creatively to help find solutions. Sometimes it is hard to take it all in: Space is filled with amazing things. Studying the stars, galaxies, and planets can tell us so much about the Universe – and looking at the Universe can tell us so much about ourselves. There is room for both study and for appreciation of the sheer beauty of it all, as anyone who has gazed at shooting stars in a night sky can attest. From our vantage points here on Earth, from the International Space Station, and from NASA’s telescopes, satellites, and missions to explore the solar system, we are learning so much – and there is still more to learn and to see. Challenges in this category will invite you to think hard and be creative about space science and exploration, whether your viewpoint is scientific, technologic, artistic – or all three! We invite the sponsorship of companies and the community partnership of networks, that share our passion for investing in cultivating innovators and problem-solvers across New York. If you are interested in sponsorship or community partnership, please contact us.